Sky confirms no satellite dish required from late 2018 | What Hi-Fi? The full Sky experience without a satellite dish will launch in Italy this year, with other countries to follow. The move was first announced as part of Sky's latest financial results last January. But while the 2018 financial results report, released today, confirms the satellite-free experience on the company’s 2018 roadmap, it might be later rather than sooner before it launches in the UK. The report says it will launch first in Italy, then Austria, followed by other “key markets”, so customers in the UK may not have access until late 2018, or perhaps even early 2019 – around the same time Sky's Now TV app and services will arrive on BT TV set-top boxes. 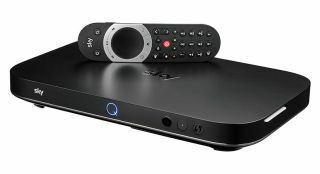 Until then, the only way to access Sky TV content without a dish is via Now TV, which offers a taste of Sky's content delivered over the internet to an app or set-top box. Sky announced that a £15 Now TV streaming stick will be available from next month, too. Sky says the new move will allow "millions of homes" currently unable to install a dish to access the full Sky TV experience. In other news, Sky has announced it is commissioning and acquiring exclusive rights for its own films, which will fall under the new umbrella Sky Cinema Original Films. Building on the 1,000 movies already available on its demand service, the Sky original films will arrive in cinemas at the same time as they become available for Sky Cinema customers. The first original film, animated comedy Monster Family, will launch in March, with The Hurricane Heist due to follow in April. BT TV G5 vs Virgin TV V6 vs Sky Q: which is the best TV service?